If you have any experience of playing at various different casino sites, that use a range of different suppliers games, then one thing you will quickly discover when you look up the RTP’s and house edges of those games is that they all tend to be the same. Take for example when you are playing NetEnt, Microgaming or Playtech casino games online, the long term expected payout percentages and the house edges each of their games have been set to return are set in stone at the time of going live. That therefore means that the operators of any casino sites that use their range of games cannot, in any way shape or form alter the game play rules on card and table games so that they play off with a different house edge. They are also not able to adjust the pay tables on games such as slot games or video poker games to increase or decrease the payout percentages those games are set to return to players over their long term play. 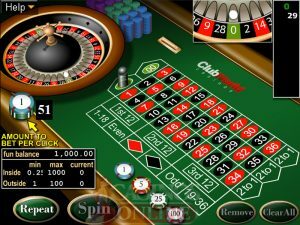 However, if you choose to play at Real Time Gaming software powered casino sites, you will find that the house edge information and the RTP’s of their slot and video poker games are never usually published on the casino websites, which they are when playing at any casino sites using the three game suppliers I mentioned early. The reason that information is not listed is that the operators of those casino sites can for example choose to have different game play rules in place on their Blackjack games, and can change the payout percentages to one of three different ones on their slot games, and can also put pay tables in place on their video poker games that return much lower than standard RTP’s too. As such if you are a player at any casino sites that do operate and use Real Time Gaming supplied casino games, then you do need to be aware of that fact, as you could end up playing games that have very low RTP’s and much higher house edges. The reason why RTG have given casino sites using their range of games the option to adjust the RTP’s and house edges is nothing underhand, for those casino sites that use their gaming platform and range of games are famed for being ones that offer much higher than average bonuses and promotional offers. To help the casino operator compensate for those very large bonuses they offer their players, and often ones that can be claimed on each deposit they make too, they then set the games with lower payout percentages and higher house edges. That does of course mean however, if you do not claim such bonuses and promotional offers, and instead only ever play with your own money, you may be best advised to play at casino sites that have set in stone payout percentages and house edges, so keep that in mind!